Your roof is one of the most expensive parts of your home to replace—and the most important. It stands between your family and the elements. The best way to avoid costly roof repair or replacement is to be proactive about preserving the life of your roof before it falls into disrepair. Are there greenish stains on your roof that never go away? These organisms grow in areas where the structure can’t fully dry, so the shaded portions are particularly susceptible to moss and lichen growth. Over time, it can contribute to roof rot. Prevent growth by trimming away tree branches from your roof. You can also remove moss, lichen, and algae by scraping it off and using a mixture of water and bleach to kill the organisms. Branches, twigs, and leaves can easily accumulate on your roof if you have trees nearby. Left on the structure, it will build up in corners and angles and trap moisture. Trapped moisture will encourage organisms and weeds to grow that can damage your shingles and even the layer underneath, called the sheathing. Damage to the sheathing may require a roof repair professional, so it’s best to clear away debris before it starts to cause problems. Clogged gutters can trap water, which will begin to flow upward onto your roof. This can seep into your sheathing and cause it to rot. Remove leaves and dirt from your gutters a few times a year, or have it professionally done by a roof repair contractor. 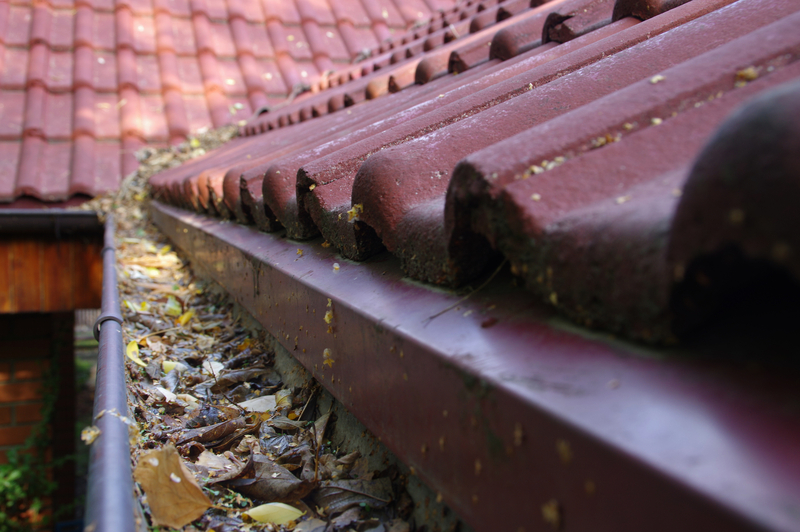 Consider having gutter guards installed if there are a lot of trees around your home. Buckeye Home Services in Dayton, OH, is the home remodeling and roofing contractor you can trust with your most important investment—your home. From roof repair to interior renovations, their friendly, professional team brings outstanding craftsmanship to every job. Their A rating with the Better Business Bureau means you can expect the best in customer care on your home remodeling project. Call (937) 586-6600 or contact them online to schedule your free estimate today.